So it has been a long time coming. 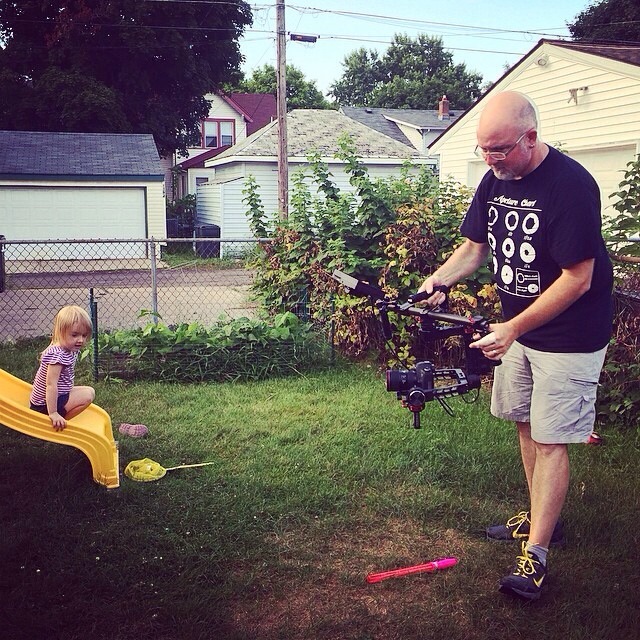 As a camera operator I have always longed for a Steadicam. In recent years there have been many imitators of the famous brand of camera stabilizer. Until now I have resisted such temptations. So as the industry prepares for another revolution in camera stabilizers with the introduction of Movi and BeSteady I have finally picked up a stabilizer. So a job coming up requires stabilization and I had my eye on the steadicam Solo since it was announced but it isn’t available yet so I went with another inexpensive model from Adorama branded as Flashpoint Zerograv. This one is sold with or without a vest/arm. I went with the vest (not pictured) because I don’t want to put any more strain on my wrist at this point in my life. A DSLR may be light, but not for extended periods of time. 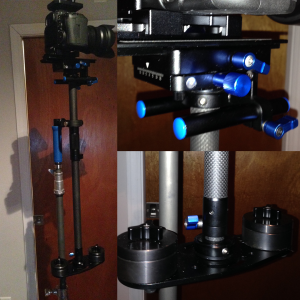 I’ve never had a stabilizer before, but I have played around with Merlin, Glidecam and even a Pilot. I’ve always thought they were too difficult to set-up, etc. All true. Now I’m pretty sure the more expensive the stabilizer the better it may maintain its balance throughout the day, but nothing is easy. The Flashpoint was pretty easy to balance despite having no manual or instruction. Most of the forums will also tell you the same thing. It requires lots of practice, adjustment and more practice. After a couple days of practice I can get footage that looks better than hand-held but by no means does it look like Goodfellas. So our latest camera purchase is not a Black Magic pocket or a preorder on a digital Bolex, though that is pretty tempting. I finally caved and joined the ranks of the GoPro legion. I’ve used these a couple of times for point of view camera. Strapped to a bike it gives a cool perspective. Of course extreme sports people are the primary customers. Anyway, the justification was that we could use the camera(s) in places that we can’t get angles with traditional cameras. Little Tree Films does lifestyle work, so weddings and other life events are the projects we work on. With these types of shoots coverage is very important and there are no second takes. What I like about this little camera is that it is so small an unobtrusive that you can put it anywhere. The capability to shoot 1080 at 60 fps or even 120 fps at 720 is appealing too. The ultra wide everything in focus is the downside, but every system has a tradeoff. I’ve seen people come up with adaptors to add c-mount lens to the front of the GoPro to allow focus and aperture control. I really don’t think these people understand the purpose of a GoPro. It reminds me of a time about 8 years ago when P+S Technik and RedRockMicro were adding these crazy adaptors to DV and HD cameras. In addition to the GoPro and the many different mounting options we also picked up the Steadicam Curve. A small stabilizer designed specifically for the GoPro. It is a new item, so it hasn’t arrived yet, but I’m looking forward to handing it off to Finn to see what he comes up with.